Almost all luxury hotels & resorts would have in-house spa which are usually open to both hotel guests as well as outsiders who make a prior reservation. Hotel spas have a great advantage of spa location and offer wonderful ambience. Some that have private beaches, offer on-beach spa treatments & massages, others would offer in a cabana by the pool, or in an exquisite spa room with lovely views of the ocean, some are in serene tranquil garden settings, or in a natural cave by the side of a lake with stunning limestone formations all around. However hotel spa treatments are expensive. There are also a few great independent spa centers in Hamilton City and St. George. They offer quality spa but may not have hotel-like ambience to offer, but they are more economical. Most spas offer facials, steam, sauna, inhalation, massages with essential oils & herbs, and various other treatments. Several of them specialize in balancing spirit, body and mind with the help of hydrotherapy. There are some spas like the one at Tuckers point, which has brought in many island touches that are unique to Bermuda by introducing Bermuda's own natural & organic produce in the treatments. They have introduced variations to take you through a spa journey where you understand, appreciate and hand select the plants to be used for your own treatment. 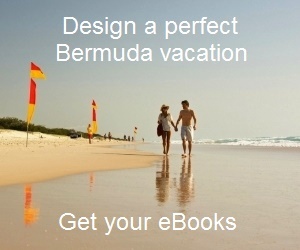 There are several spas in Bermuda which have won many international accolades. Couple of them are now on the top five of resort spas in the whole of Caribbean, Bermuda and Bahamas together as rated by Travel + Leisure magazine. Located at the Reefs Hotel in Southampton Bermuda, this Spa has been ranked #3 in the whole of Caribbean, Bermuda and Bahamas by Travel + Leisure Magazine in 2012. Check out the link to know all the details. This is a full service Spa and the largest in Bermuda covering 31,000 square feet of floor area. Located inside Hotel Fairmont Southampton, the Willow Stream provides an ultimate experience in body treatments, massage, facials, salon and fitness. Visit the link above for full details. The Spa is located inside the Elbow Beach Hotel in Paget parish and offers great spa service both in private suites as well as by the ocean side. Have a great spa treatment or a massage in a natural cave and by the side of a crystal clear lake and with views of spectacular stalactite & stalagmite formations. Located inside the Cambridge Beaches Resort at Sandy's Paris, this is a world class Spa and hailed by many travel and spa magazines. Located in the Hotel Newstead Belmont Hills, it offers a wide range of Spa services. It also has a full service hair salon, nail care services and a fitness center that overlooks the Hamilton Harbor. This is a 12,000 square ft. spa offering wide range of body treatments, massage and facials. It also provides full range of Hair Salon and nail care services. This is a full service Spa for both ladies and gents offering a range of services including massages, facials (including face lifting), body treatments like scrub & wraps, and salon services. Located at the Pompano Beach Club Bermuda, the Spa offers a full range of body treatments, massages and facials. Opened in 2016 after complete renovation, the hotel has collaborated with lifestyle & well being brand 'Exhale' to create a 8,200 sq. ft spa overlooking the Hamilton harbor. It has 9 therapy rooms and offers massages, facials, scrubs, acu healing, pedicure/manicure, waxing and more. There is a lap pool and also a poolside pergola for outdoor activities. Adjacent to the spa is 2,150 sq. ft. gym spread across two levels and overlooking the pool area. The gym has latest equipment of Technogym make. A large salon and day Spa on Reid Street of Hamilton City, Bermuda. This is a complete spa and located in a traditional cottage and in a tranquil garden setting. It has seven well appointed therapy rooms. The interior has tone of green, gold and earth. The spa offers a range of body treatment services including massages, reflexology, body polishing etc, along with services such as facials, skin care, nail care, permanent cosmetic makeup etc. Open all seven days. Located in St. George and run by the well known brand Bersalon, this is an independent Bermuda Spa center and offers a wide range of treatments including facial, massage, pedicure, salon, beauty services and others. Check the link above for details. Spa offering a range of services like facial, manicure, pedicure, makeup etc to young girls between 3 to 16 years. They also offer party packages. A full service spa for both men & women offering body massages, facials, body care, nail treatments etc. Phone: 441-292-8081; Open Monday through Saturday. This is a relatively new Spa owned by Nina Smith-Cordeiro and is located off Water Street. The owner has had a long experience in hairdressing and had been working in a barber shop prior to opening this spa. The main theme of the spa is letting one pamper oneself within affordable means. So you can expect reasonable rates here. The spa offers various treatments including facials, massage, nail treatments, hair styling, cuts, color etc. They also offer mud wraps, body scrubs and cellulite treatments. One of the highlights of the spa is their friendly and relaxed approach towards the customers. They specialize in traditional Thai massages using organic ingredients. They also offer services such as waxing, tinting, body wraps, pedicure/manicure etc. Open all seven days (10am to 8pm). Owned and operated by Hanifah Smith, this is a relatively new makeup bar in the island. Lush specializes in make-up, eyelash extensions and eyebrow shaping. The offerings also include threading, eyebrow/lash tinting, body waxing etc. Smith is a certified City and Guilds beauty therapist. She was also a certified Billion Dollar Brow artist from Beverly Hills. Other than the above services, her store sells Smashbox, Nyx and Billion Dollar Brows cosmetics. Phone: 441/295-5874. Services include manicure, pedicure, facial (customized and express enzyme facials), massages (hot stone massage, customized massage, foot & hand massage) for both men and women. They also offer waxing and tinting services. Add on services include eye and lip treatments. Open all seven days a week, 8am to 8pm. 31 Victoria Street (Courtyard Level), Hamilton City.